Find here the most recent updates about our company, product releases or significant successes. Besides, our marketing team also remains available for further questions or inquiries. Come and discover our new Silicon Carbide module made for fast converters! Imperix is proud to announce the release of its newest power module, the PEB 8024 SiC half bridge building block. Featuring 1200V Silicon Carbide MOSFET semiconductors, this module offers a significant performance increase over its predecessor, the PEB 8032 variant. The use of Silicon Carbide power switches gives access to performance so far inaccessible with traditional Silicon devices. Indeed, SiC MOSFETs allow much faster switching frequencies, while guaranteeing lower losses. This enables building converters with superior harmonic performance, better efficiency, improved power density or all of them at the same time! Come meet us on the booth with our partner and distributor OPAL-RT! We will show you our how imperix solutions enable engineers to accelerate their developments by going to the laboratory earlier and challenging their control in a real-world environment. See you at booth 938! 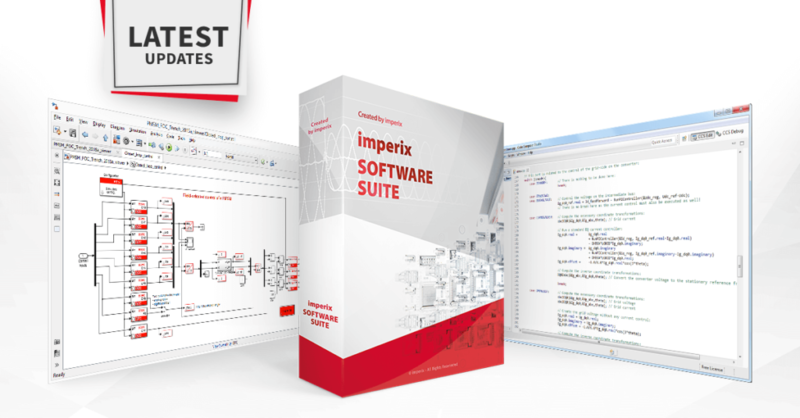 Take the opportunity to discover how imperix solutions enable engineers to accelerate their developments by going to the laboratory earlier and challenging their control in a real-world environment. Thanks to our BoomBox Rapid Control Prototyping platform, you’ll have everything you need to work quickly and reliably on the validation of your own control algorithms.Be it about research, industrial development … or any other application, all you need is to assemble our power modules to Boombox control, so that you can give life to a broad range of converter topologies. 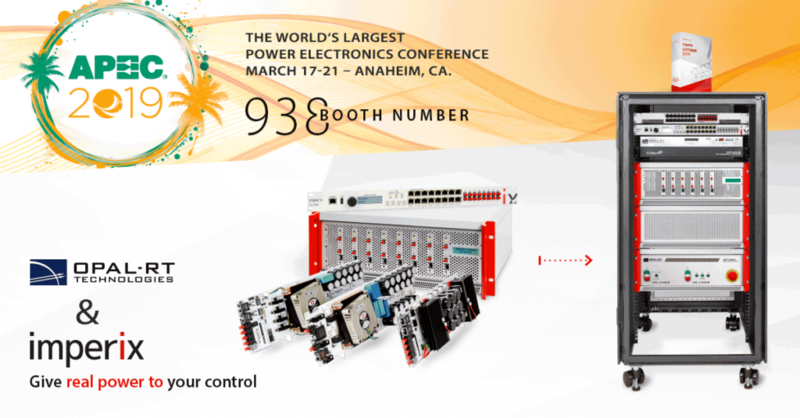 Come and see how easy it is to jump from real-time simulation of power electronics to physical prototyping by simply changing cable connections, without editing your control software. The MICROGRID BUNDLE is a double test-bench for running both hardware-in-the-loop simulation and power electronics prototyping in a single cabinet! Visit us at booth 5 to discover all the details! 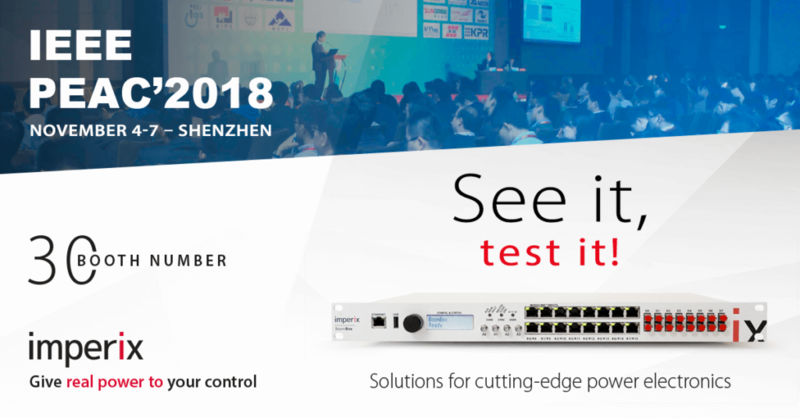 Come meet us during the PEAC conference in Shenzhen. We’ll showcase how to our high-end Boombox controller and software. Thanks to it, you’ll have everything you need to work quickly and reliably on the validation of your own control algorithms. 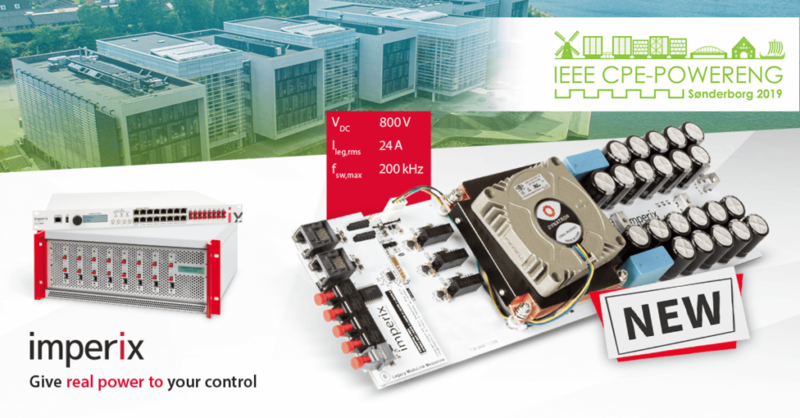 We’ll explain how our power modules can help you implement your power electronic projects in no time! All you need is to assemble them similarly to legos, so that you can give life to a broad range of converter topologies. Visit us at booth 30 to see all the details! 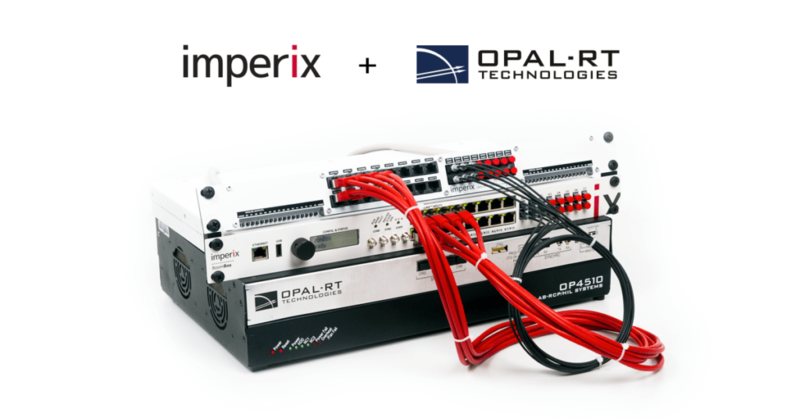 Imperix and OPAL-RT TECHNOLOGIES are making one step further in their collaboration. On August 30th, the two companies signed a strategic alliance that sets ground for co-investments in complementary products and solutions. This reinforced collaboration allows to accelerate product development and join product lines in order to respond to the increasing need for power electronic experimental testbed solutions. Marketing will also be facilitated, notably for microgrid applications, for which both companies currently face an increasing demand. The first joint product to benefit from the alliance is the OP1300, a test bench dedicated to the combined hardware-in-the-loop (HIL) and experimental validation of power converter control techniques. First showcased during PES GM and CIGRÉ Sessions, the test bench enables researchers and engineers to go beyond simulation and obtain world-class experimental results in the blink of an eye. “This fully turn-key system really makes HIL and Power-HIL within everyone’s reach” says Simon Delalay, CEO at imperix. “More generally, the agreement will foster a closer relationship between the Swiss and the Canadian companies, enabling Imperix to benefit from OPAL-RT long-renowned experience in real time simulation and power systems in general, while bringing its own expertise in low voltage power electronics” says Jean Belanger, CEO at OPAL-RT Technologies. We have recently upgraded all our software products. Have a look at our latest updates. The BoomBox kernel gets once more performance increases and our monitoring software BoomBox Control gets numerous small improvements. More importantly, the Simulink Blockset offers more flexibility, getting now almost as configurable as C/C++ code. Developing converter control entirely through a graphical approach has never been so easy! 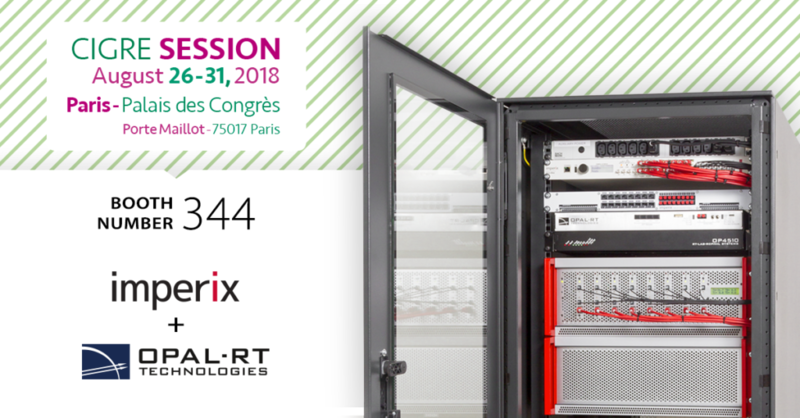 Imperix and Opal-RT technologies will join forces during Cigré 2018 to showcase prototyping solutions for microgrids. 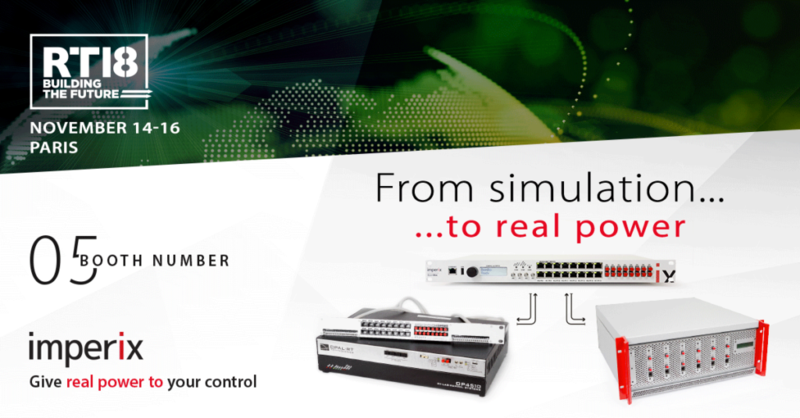 This is the perfect opportunity to see how easy it is to move from real time simulation to real power prototying ! 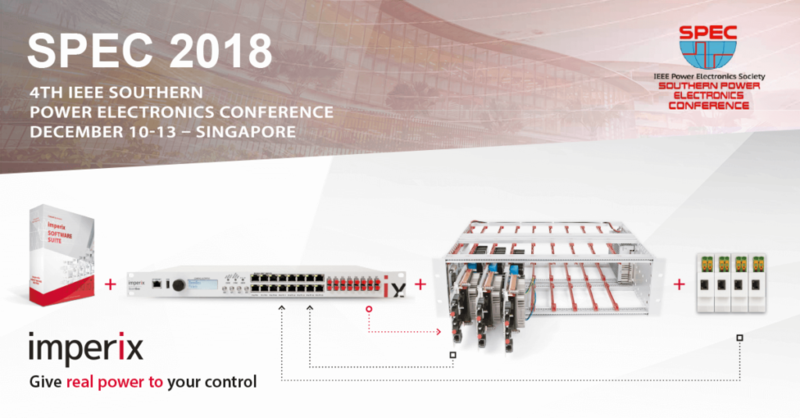 For those who want to learn more about our combined HIL and low voltage testing solutions, a dedicated workshop will unveil all the details about the OP1300 family and its operation. Visitors will also be able to ask our experts absolutely any question, to no less than Opal-RT’s product director Christophe Brayet and imperix’s chief of engineering Nicolas Cherix. For organisational purposes, please simply inform us of your attendance by registrating using the following link: Register here ! 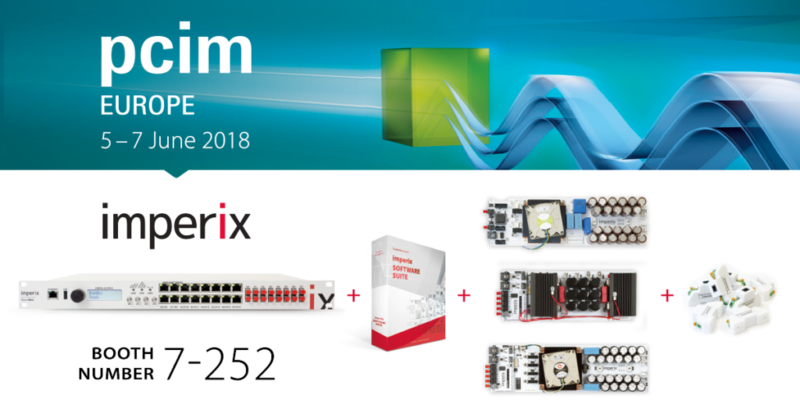 Visit imperix during PCIM Nuremberg. 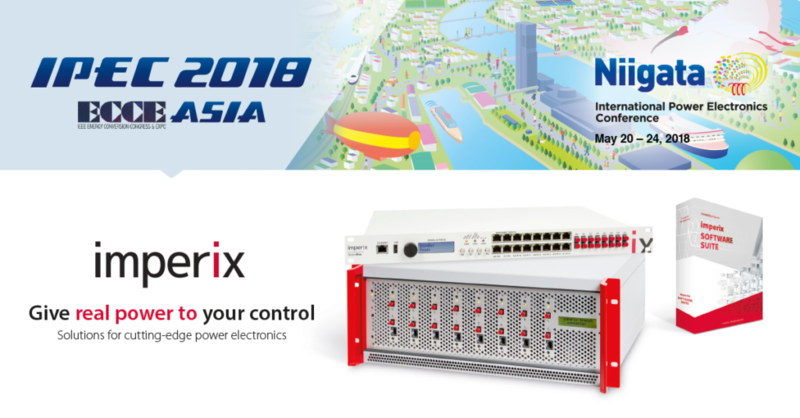 We’ll showcase how our hardware and software solutions can help you to accelerate the safe implementation of power electronic systems. Thanks to our BoomBox Rapid Control Prototyping platform, you’ll have everything you need to work quickly and reliably on the validation of your own control algorithms. Be it about research, industrial development … or any other application, all you need is to assemble the power modules, so that you can give life to a broad range of converter topologies. imperix brings you a complete hardware and software solution to accelerate the safe implementation of low-voltage power electronic systems. Together, our products ideally support your prototyping activities and guarantee state-of-the-art experimental results.